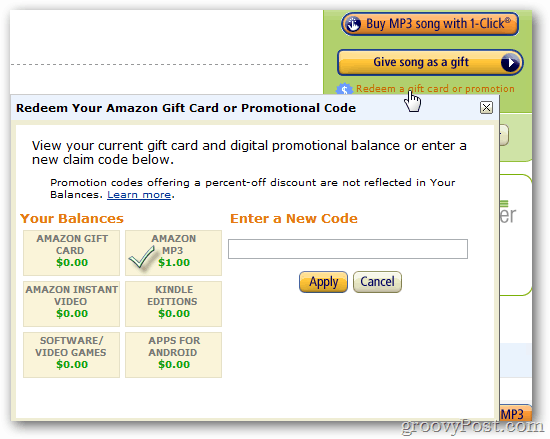 Would you like an easy way to get a free dollar to spend on your Amazon MP3’s? It’s as simple as sending a tweet on Twitter until March 5th at 11:59 PM PST. Want a free dollar to spend on Amazon.com MP3 downloads? All you have to do is follow @amazonmp3 on Twitter and tweet the following message. This deal ends March 5, 2012, at 11:59 PM PST. Both of these are done automatically from the button on the linked page below. Visit this Amazon page and then click Tweet and Get $1. Amazon prompts you to sign-in if you haven’t already. 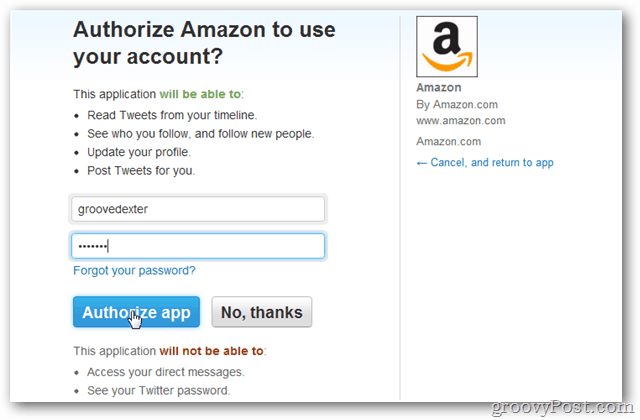 Then authorize Amazon to use your Twitter account. Done! You’ll see a congratulation box appear on the page. The next time you visit an Album or Song product page on Amazon. click the “Redeem a gift card…” button to see your remaining credit. You can use this credit to add a song to your Kindle Fire.